Ever Since the launch of Google Plus, Google has been tightly integrating it with other Google Products. Now Google is trying to help the users have a unified Google Profile which can be used across its various products. If you are using the New Blogger Interface, and you haven't yet switched to Google Plus, then you will be greeted by this message in your Dashboard. Why should you make a Switch? 1. You can get a unified profile for all the Google Products. You might have seen this message in your Blogger Dashboard prompting you to do the switch. It’s really so easy to make the switch. You just have to follow the on Screen guidance. 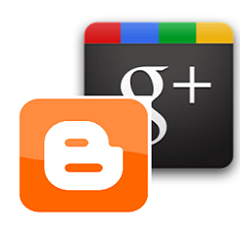 Once you click on the Switch now Button, you will make a transition to your Google Plus Account. Once you are done with this step, you will see a notification in your Dashboard saying that you have made the switch. Thanks for this. I think I dismissed the message earlier. I'll go look for it now.